Don’t forget to spring forward and set your clocks ahead one hour at 2:00 a.m. local standard time on Sunday, March 14. 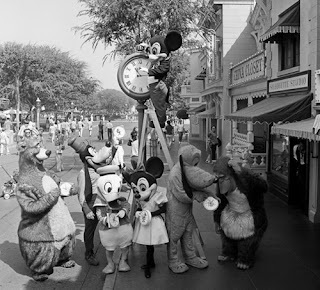 Check out this awesome 1970 photo of Mickey Mouse, Goofy, Pluto and friends changing the clock on Main Street, U.S.A. in Disneyland park for Daylight Saving Time. (Via Disney Parks Blog).